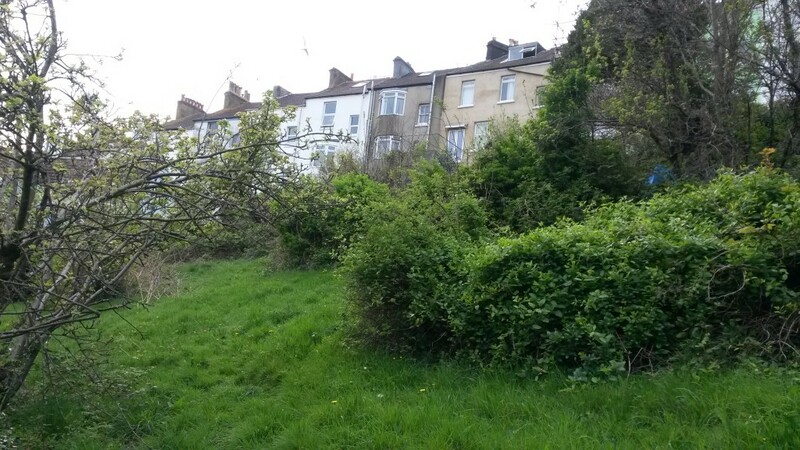 The 116-step so-called ‘Cats Creep’ takes pedestrians all the way up from the already high Roundhill Crescent in central Brighton to Wakefield Road from where the views are dizzying. At a glance, 24 Wakefield Road looks just like its neighbours. Down the street, No. 13 is a little odd as an inconspicuous tunnel beneath it leads to No.14, a hidden house behind. No. 24 though looks just like the rest of the terrace, save for the orientation of its chimney stack. I was shown around by the house’s owner, Dr Sadegh Moghadas, a former film editor and university lecturer who bought the building in 1980. The house has three storeys along with a generous loft room. 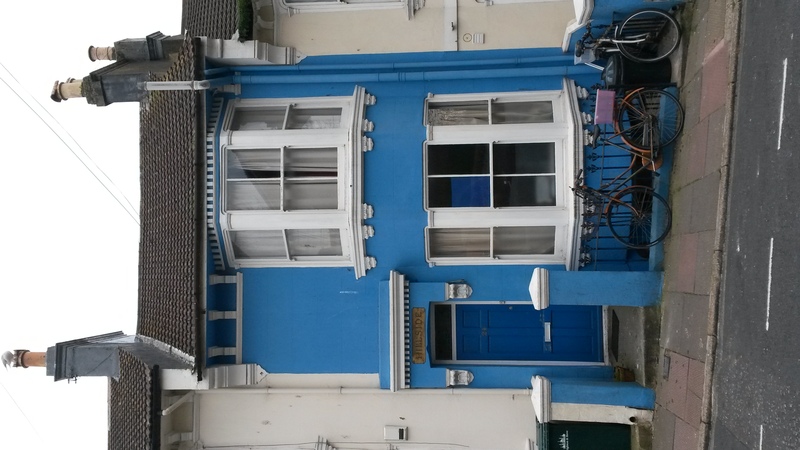 It isn’t rectangular though, like a typical terraced house. The rear is actually wider than the front, which explains why the chimney doesn’t run perpendicular to the façade. Round Hill – the area that is bounded by Ditchling Road, Lewes Road and the railway – is blessed with impressive views across the valley below. A walk up Wakefield Road gives little clue to this as, well, the houses are in the way. This makes the surprise view from the rear windows of each house all the more overwhelming. From No. 24, the sea, Pavilion, Dome, Brighton Wheel, Pepperpot, Racecourse and Downs may all be seen. It may well be the best outlook in the city. A rear patio that is accessed from the basement kitchen is about the same size as the other rear gardens on the terrace. Some steps lead away from it though, down the hill. Where they go is not immediately clear as trees quickly obscure what’s beyond. It’s soon clear that the rear patio is a gateway to a private wooded area within the centre of the bock, the size of half a football pitch, that comes with the house. I’ve never seen anything like it. Various sources suggest that the land was once an orchard. The building’s deeds offer a variety of clues on the house’s history. A prominent local landowner, John George Blaker (the namesake of nearby Blaker Park) appears to have been the owner in 1909. 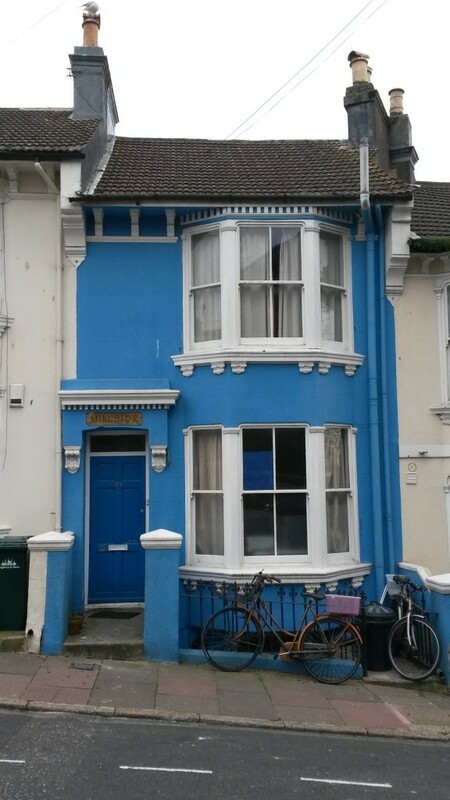 The name of the house, ‘Hillside’, which has been exposed from under layers of paint on the front of the building, is mentioned at this point. Documents from 1917 mention the Cats Creep. The house is currently for sale with Bonett’s Estate Agents.